There are countless branded blogs all across the web. The company blog has become table stakes, something that consumers expect to see. It’s a place for the brand to showcase expertise, build trust, and generally promote a brand’s paradigm to prospects, customers, investors, and potential employees. However, it’s harder than ever to break through and capture attention. Blogging is like exercising at the gym: you can’t just show up, go through the motions and expect to see the results you want. Much like fitness, getting the outcome you desire takes time, effort and maybe even some help from an expert. And just like fitness, a lack of investment is why many company blogs don’t live up to their true potential. Either there’s an underinvestment upfront, or the blog starts off strong only to fade away as priorities inevitably shift. Life happens, and blogging ceases. So, if you want to nurture an active company blog, there are two basic factors that drive success: quantity and quality. Visiting a brand’s website only to find that the last blog update was eight months ago can be a red flag for prospects. It can signal either a company in distress or a company that can’t follow through. Sparse content doesn’t just create a reputation problem, it creates an SEO problem too. Recency is a factor in ranking both for better brand perception and higher search engine rankings. 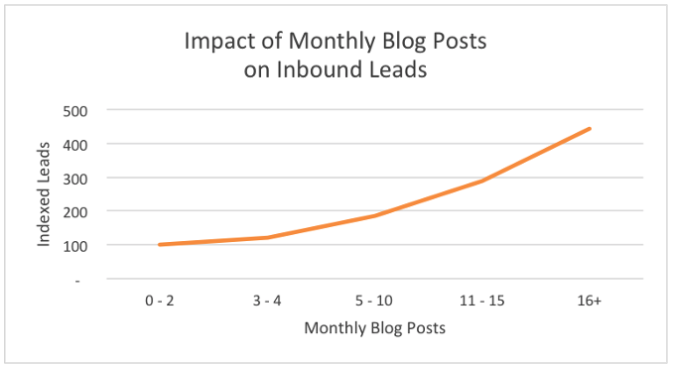 After dissecting blog data from more than 13,500 websites, HubSpot found that companies that published 16 or more blog posts per month saw about 4.5 times as many leads compared to companies that published fewer than four monthly posts. One brand that thrives thanks to consistent publishing is GoDaddy. From web hosting to email to domain names, GoDaddy has thousands of blog posts in its “Garage.” The posts are even custom-made and categorized for specific industries. After all, building a website as a lawyer is a lot different than building a website as a wellness spa owner. No wonder GoDaddy is the world’s largest domain registrar! When deciding how often to publish, be realistic. Once you set a cadence, it’s important to keep maintaining it. And we know how hard that is — just look at our own blog to see how things can slip when committing to a set number of articles each month! Churning out blog posts every day isn’t a magic solution for generating leads and earning trust. The second, and arguably the most important, part of the content creation equation is quality. It’s more effective to post fewer high-quality articles rather than churning out crappy content just to fill a quota. A fresh perspective that connects ideas in a new or novel way. A data-driven piece that uses proprietary statistics to showcase the company’s unique perspective. An analysis that reveals something about the way the company sees the world — and how this impacts the reader. A comprehensive resource that curates a variety of perspectives into one central reference. A revealing interview with someone smart: industry leaders, executives, employees, and customers are all potential mines of information. As a result, Grow has accumulated 3,500 followers on Twitter in its own right. Meanwhile, Acorns is evolving into a full-fledged financial institution with 3.8 million users and more than $1 billion under management. When it comes to content, audiences today don’t have the patience for brands that are selfish, lazy, or both. All of this may sound great in theory, but the question remains: how can I find time to make all of this happen? Most doers can’t double as writers. If you handle the day-to-day operations of a business, chances are you can’t carve extra hours out of your schedule to develop a library of high-quality content that online audiences demand and search engines favor. This is why writing is one of the most outsourced jobs in business: per TopRank Marketing, 64% of B2B marketers outsource writing, most of which said cut costs by at least half. To learn more about a process that streamlines the content creation process and increases the consistency and quality of the content you publish, check out the Ghost Works brand journalism approach. All brand marketers are looking for affordable AND effective channels to evangelize their company’s messaging. Yet, some overlook an untapped brand marketing resource right before their eyes: employees and contractors. This cohort has a vested interest in seeing the company succeed. And, if the culture is strong, this audience has a passion to share their love for the company where they work. Even if the culture leaves a little bit to be desired, a savvy brand marketer or corporate communications professional will engage this group. When done right, investing in this audience delivers dividends over time. 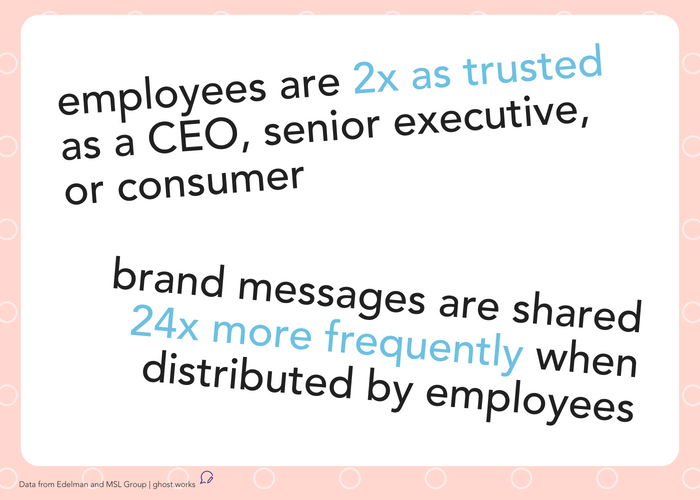 Employees become part of a strategy to disseminate content and share brand values — all without spending much money. Think of this as internal influencer marketing! Every community has influencers. Companies are no different. There will be thought leaders in each department, and oftentimes they’re not the people that you would expect. Make a list of those that you consider internal influencers and then methodically test this initial list against your own bias. Consider things like social media presence, participation in company initiatives, activity on the company intranet, and contributions to external professional and community organizations. As a rule of thumb, you want to look for someone who has an engaging presence that other people respond to. It’s those kinds of people that Internal communications initiatives hinge on. Now that you’ve verified your internal influencer list, it’s time to segment. This stuff is often overlooked — because there’s never enough time. It seems slightly unnecessary and is an easy one to ignore when the to-do list is long. However, we don’t recommend skipping this step. Ignoring the fact that different segments have different needs is dangerous. Without proper segmentation, the initiative is likely to fail. This is because the content cannot be effectively targeted to the right segment. Remember that the goal is to match brand messages with internal influencers that are most likely to share them. And then once was messages are shared, those who follow those influencers will ideally engage with them. So if the message is not targeted to the individual, then the person who follows that individual is also less likely to engage. Each organization will have its own segmentation. You might want to segment by department, by function, or by geography. Or perhaps you want to do it by which channel the influencers are most engaged with. This creates interesting opportunities to bring together those internal influencers who are very popular on Twitter, for example. This fosters a new type of community and the company, which encourages others to be active on these types of social platforms. By giving influencers a voice in the process, you foster ownership and increase the chances of success. What’s you have your segments, you’ll have a pretty clear idea about which digital channels work best for those segments. You also should have some insights into which you might want to experiment with, such as increasing employee use of mobile apps or using a chatbot to engage with employees. In the most recent Gatehouse study, the majority of respondents were aiming to increase usage of mobile tools by employees, for example. 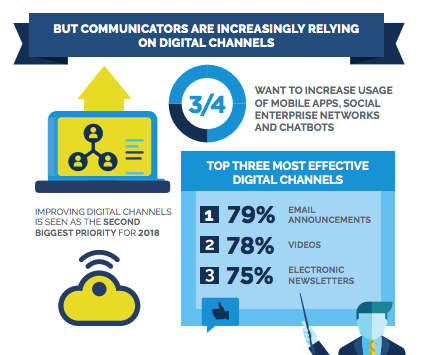 Data from Gatehouse 2018’s report on internal comms. The reason for this step is that you want representation of influencers across the different channels you’re looking to engage with. 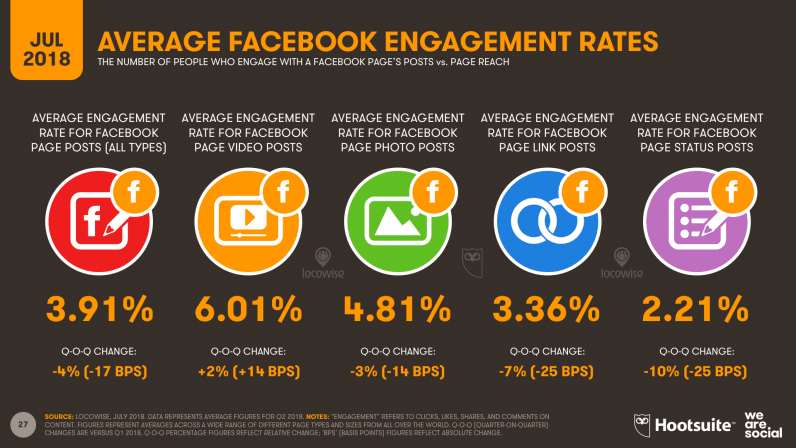 This helps disseminate the content across as many channels as possible, increasing the ROI on content already created. It’s important to recognize that not all digital channels are created equally, just like all influencers are not the same. While gamification and leaderboards have dropped out of favor, there is still a place for healthy competition in the workplace. Consider deploying tools, such as EveryoneSocial, that automate much of this employee engagement. These tools can help you segment as well, saving time and making it easier for you to push out different types of content with the employees. These types of programs are solid extensions of an existing company Internet. Remember that any perks you offer must be managed. So if you’re going to do a leaderboard, especially via vendor, you’ll need to allot resources to manage the project. You can offer other perks, just be sure that you deliver those perks accurately as promised and on time. Disillusionment is easy when promises are made and not kept. Take pictures of any perks earned by employees — and promote those as well! Sometimes a perk is simply an acknowledgment. 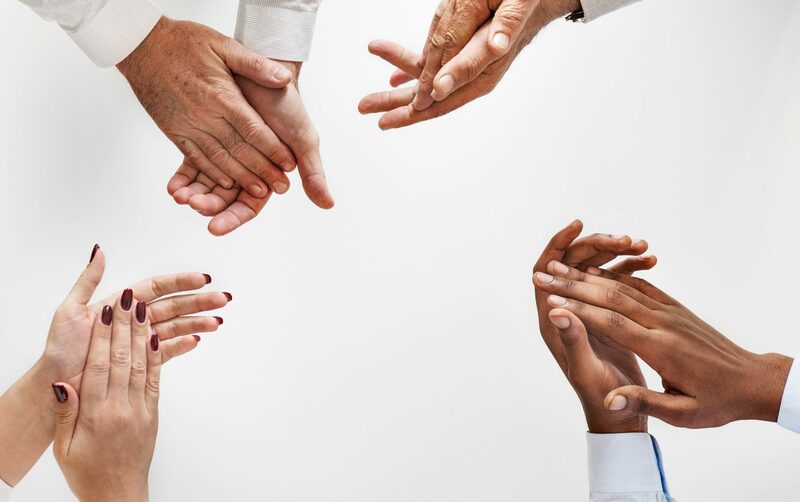 Whether via the company intranet or a companywide announcement, acknowledging those who are strong advocates for the brand sets an example for the rest. Bonus points if you can convince your executives to lead by example and develop strong sharing sensibilities across the most important digital channels. Gallup found that only 13% of employees strongly agree that their leaders are effectively communicating with the organization — a cogent strategy that involves leaders could provide organizational benefits beyond free distribution for your brand marketing messages! Sales enablement often gets all the attention when it comes to creating content that converts potential customers. But don’t forget your existing customers! They can be a fantastic resource for sharing content, and generally evangelizing your brand. Whether it’s creating an official ambassador program, or simply emailing relevant articles for sharing, craft a strategy that works for your company. Clients are usually more than happy to share content from companies they love, especially if the company is responsive and relationship-oriented. When it comes down to brand marketing, it’s about engaging those who care the most to disseminate the messages that matter the most. Take the time to invest in a program upfront, and the return on this minimal investment will only grow over time! Owned media that is arguably the most important piece of a brand’s content marketing strategy. It’s the core that everything else should emanate from. From this core, a brand can also leverage earned media and paid media. We’ll get to those two in future installments of the series. But first we must ask for the most important piece of it all: owned media. Owned media is any content published to a channel owned and operated by the brand itself. This is any brand marketing created by the company, such as a blog, a catalog, a magazine, or a newsletter. Social media isn’t really a form of owned media, as the brand doesn’t on the channel, it doesn’t fully qualify. The company that owns the network can change the algorithm at any point, making the company powerless to define its own future. Since the platform is controlled by third-party, there is no controlling what may happen there. An algorithmic change can wipe out a brand’s position in a matter of minutes! Why should I care about owned media? There is one defining feature of all owned media: You’re in control of your own destiny. That’s why it should be at the center of your brand marketing strategy, with organic media, earned media, and paid media in orbit. Here’s a breakdown of the four parts of a successful brand marketing strategy. When a brand publishes to a third party platform, there is just no controlling what that platform may do. Thousands of dollars could be lost instantaneously, as an investment goes from meaningful to worthless. The time and potential sunk investment cost for organic media can be prohibitive. Earned media. When a brand relies on public relations for media placement, there’s no controlling what types of stories journalists are working on and whether those stories align with a brand’s communications plan. Journalists are a fickle bunch, pushed towards deadlines with fewer resources than ever before. It takes a lot to cut through the clutter. The time cost for earned media can be prohibitive. Paid media. When a brand pays for media placement, whether through sponsored content or paid advertising, there is both a financial cost and an authenticity gap. 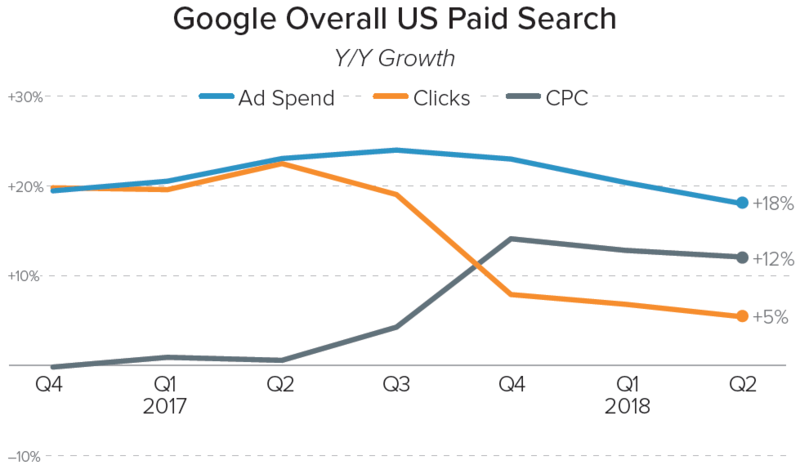 Cost per clicks are going up, and fewer users are clicking on ads. Also, sponsored content has a high cost while still being seen with a suspicious by many readers. The financial investment for paid media can be prohibitive. Owned media. When the brand publishes to its own blog, or distributes its own magazine/newsletter, it controls the narrative completely. Content is published in the brand voice and aligned with internal company objectives. Any relationships built through capturing reader emails are fully owned by the brand. There’re no intermediaries taking a cut of the investment in the content. You are in charge of your destiny. And the best part about owned media? The return on your investment only grows over time! While true that you need to continue to invest in content, much of the investment occurs upfront to get your channel momentum going. Once established, the cadence has been set, and the content starts delivering greater results for lower investment over time. This cannot be said for the other media strategies, except for perhaps earned media, where journalist relationships tend to bear more fruit over time. So whether you’re investing in your company blog, or in a more ambitious piece of company branded content, such as a magazine, consider it a smart long-term investment. For more proof points, check out the stats below. You’ll be amazed at how affordable an owned media strategy can be for your brand marketing strategy! If you spend any time on Instagram, you’ll be familiar with the hashtag “squadgoals.” The aspirational term encompasses what a group of friends wants to accomplish together, or underscores the successes of an existing friend group. Like a lot of social media, it’s a term used to show off just how cool the user is. #contentgoals is the #squadgoals for brand marketers and corporate communicators ? And, like a lot of social media, there’s a corollary for communicators. Let’s call them #contentgoals. These are the measurable outcomes that you aspire to accomplish with your content. It’s not enough to check the box off your marketing to-do list and put content out there without considering your goals. It’s also not enough to just have the goals and not execute a strategy that can make them happen. Here’s one approach to make those #contentgoals a reality. This is the most important piece of the process: defining the business objective of the content campaign. What is the desired impact on your business? This is usually singular, as the more defined you can be, the better. Common objectives include: sell more of a product, increase leads at a specific funnel phase, reduce cost-per-lead, raise awareness about a company, or enhance a brand’s position in the marketplace through thought leadership. Your objectives define the entire approach, so never skip this step! There’s no point in just creating content for content’s sake. Some campaigns will nest objectives within a broader context. For example, a campaign to enhance a brand’s positioning through content might break down further into a goal of placing more executives at conferences and to increase the quality of candidates applying to the company. This is the best time to bring other folks into the discussion. Without the right people in the room, the objectives might not accurately reflect the organization’s goals. It’s best to have the buy-in at the objective stage, and then move through the following stages with only targeted input. This prevents getting stuck in an endless roundabout of approvals. Once you are aligned around objectives, now is the time to look externally. Keep an eye on industry blogs, mainstream tech news sites, analyst whitepapers, social media and other channels to identify brands using content in a way that achieves the same objectives. Just like all content is not created equally as far as quality, each content distribution channel/method is useful for specific objectives. Observe the brands that seem to be achieving similar objectives and benchmark. Especially brands from outside your industry! There’s a wealth of best practices from companies that might not play directly in your space. First, look to trade media for in-industry examples. Next, to find inspiration from outside of your industry, start with a search for terms like “content conversions,” “content conversion ideas,” etc. It’s easy to get overwhelmed when it comes to creating content. Whether for a company blog or a product marketing campaign, the planning process is intimidating. The questions are broad and hard to nail down: What to say? How to say it? Which channels to say it on? How to measure success? Who are we talking to? This might seem obvious, especially for those that have smartly defined the audience for their primary company blog. However, each content campaign is going to have its own defined audience. There may be multiple audiences, and then content will offshoot to target each audience. Avoid targeting too many audiences, because then you might not finish the campaign due to over-complexity. Why are we talking to them? This question might be partially or totally answered during the defining objective phase. Regardless, it’s good to bring this reminder into the process here. What do we want to say to them? As marketers and communicators, messaging is our primary tool. Adjust you’re messaging according to your audiences, And be sure to focus on their needs, not your company’s. Those brands that only talk about themselves come across as selfish and aloof. No one wants to do business with those types of brands! What channels do we want to say it to them on? Hint: channels that your target audiences use! It’s best to go where your audience is. While we advocate for owned media channels like company blogs, it takes work to get people to come to you. Look to blend your own channels with third parties. Engage forever your audiences are and push them back to your own brand experience. Who is responsible for creating the content? This includes laying out the approval workflow, with expected timelines. Be realistic here! Everyone on the team should know their deadlines, and you (as the manager) should back in whatever extra time is needed for delays. How you go about answering these questions is organization-specific. If you have a consensus culture, then be sure to involve all necessary decision makers upfront to avoid bottlenecks later. In this case, you might want to fold this step into the Identifying Objectives stage. This reduces the chance that the project gets stuck in the organizational mud. If you are flying solo, don’t skip this step! It’s easy to feel as if there’s not enough time when you’re the only one doing everything. Try to take it down a notch, draft these answers, and then refer back to your answers periodically. This will help if you get stuck at any point during the process. Finally, execute! But don’t get caught up in the excitement and forget the plan! It happens often: we get so caught up in doing the things that we forget why we are doing them in the first place. Set some time on the calendar to refer back to the plan. This allows you to adjust the plan mid-way if you need to. The frequency should depend on the length of the plan: longer-term projects need more regular check-ins while projects with shorter timeframes likely won’t need as many. The final phase, after you’ve created the content distributed, is to the analyze performance against your plan. We’re not going to go too deep into this here — that’s a perfect topic for another article. Real talk: This is without a doubt the hardest part. After spending enthusiasm on planning, and effort on execution, it can be easy to get lost in analysis. Work towards a “good enough” plan and leave fuel in the tank to cross the finish line! Once you have managed the complete process, you will feel proud and driven to do it again. And ideally, you will be armed with the metrics that help you make the case for continued investment in content across your organization. Companies are increasingly turning to freelancers for tasks that were previously done in-house. This shift has been encouraged by employees branching out on their own to take their deep domain expertise to the open market. Many employees discover that they are able to earn more money with their skills out at a market rate. One massive tradeoff with this arrangement is that these employees lose traditional employment protections, such as health insurance, disability insurance, retirement contributions, and other benefits. Another significant trade-off is the security of a bi-weekly paycheck. Freelancers are put at an enormous risk, as it’s not always assured that company will pay for services rendered. For companies that hire freelancers, it’s important to understand that these relationships should be taken as seriously as any other vendor. The Freelancers Union estimates that a whopping eight out of 10 freelancers struggle to either get paid on time or at all. The organization, which represents hundreds of thousands of freelancers, has recently launched an initiative called #FreelanceIsntFree. The objective is to remind companies the freelancers deserve to be paid for work performed, as reliably as internal employees are. This issue of non-payment has recently received more attention than ever, as the city of New York became the first city to implement stringent protections of freelancers. These rules include the right to timely payments, protection from retaliation, and up to $25,000 in fines for repeat violators. Even if you do not employ freelancers based in New York City, it’s enlightening to read the full rules. They signpost a potential path for many other jurisdictions. As groups like the Freelancers Union continue to amass massive support, these types of freelancer protections are sure to expand far beyond the city of New York. So, in order to prepare your company for emerging regulations about how freelancers are managed, here are four ways that you can mitigate risk in the gig economy. A right to a written contract is the backbone of the New York City regulations. While that sounds obvious, not all freelancers have a contract with clients. Sometimes a project is too to fast-moving to stop and do a contract, and sometimes freelancers feel like a contract is over-kill. There’s also some reluctance to require contracts, as many companies have robust legal departments that prevent many freelancer contracts from being approved. So insist on a contract without dense legalese. Focus instead on the parameters of the project and the expected milestones. Clarity keeps projects on track. And just because something is listed as a milestone on the contract doesn’t mean that it can’t be adjusted in the future. The point is simply to get everybody aligned around the timeline. This eliminates any future discussions that the project scope was not clear. It prevents scope creep, which can dramatically increase the cost of the project for your company. The majority of professional freelancers pride themselves on being professionals in their fields. This means that they understand the importance of milestones for tracking progress. As mentioned above, these rough milestones should be baked into any contract. As the engagement unfolds, these milestones should be marked as completed. Progress should be tracked, and any adjustments to future milestones made immediately. Milestones are also an important litmus test to ensure that you’re only working with the highest quality freelancers. If you find that a potential freelancer is hesitant to commit to milestones, it’s probably best to move on. You don’t want to end up in a situation where you either have to fight about money owed or decide milestones on-the-fly. Clarity upfront saves time down the line. After all, if using a freelancer takes many more hours of your time to manage, then it’s really not worth it in the end! Some of this advice could also be made for freelancers, of course. So, even though you are the client and the freelancer is the service provider, don’t let your freelancer define your relationship. Take an active role in communication, and be sure to implement the right workflows to keep the communication flow consistent and effective. By taking ownership of communication, you also show the freelancer that this is important to you as the client. If your team has a communication tool like Slack, consider inviting the freelancer as a guest to be sure they’re up to speed on anything pertinent to their work. Remote workers are often out of the loop on things the managers think they know. While it might come across as too eager, over-communicating at least delivers visibility and transparency. Under-communicating facilitates inaccurate conclusions to be made and rumors to flow freely. Hope doesn’t pay the bills! Your company benefits greatly from the cost savings associated with employing freelancers versus employees — this cost-savings is one of the key reasons why the freelance economy is thriving. Remember that these freelancers are not only absorbing common expenses as a cost of doing business, but they’re also responsible for paying the portion of payroll taxes usually paid by the employer. So, do your part in fostering the freelance economy and pay your freelancers on time and as agreed per the contract. If milestones are slipping, and you feel that this merits a pay decrease, discuss this in advance of an invoice due date. Regardless of how you approach payments, there’s one core truth when working with freelancers: Clients that pay on time consistently go to the front of the line. When there are active clients to pay on time, it’s hard to prioritize work for clients that are often late with their payments. Know the psychology and set yourself up for success! For those who manage a company blog, there’s a certain level of despair that comes with trying to figure out what to say how to say it to say it and where to publish. 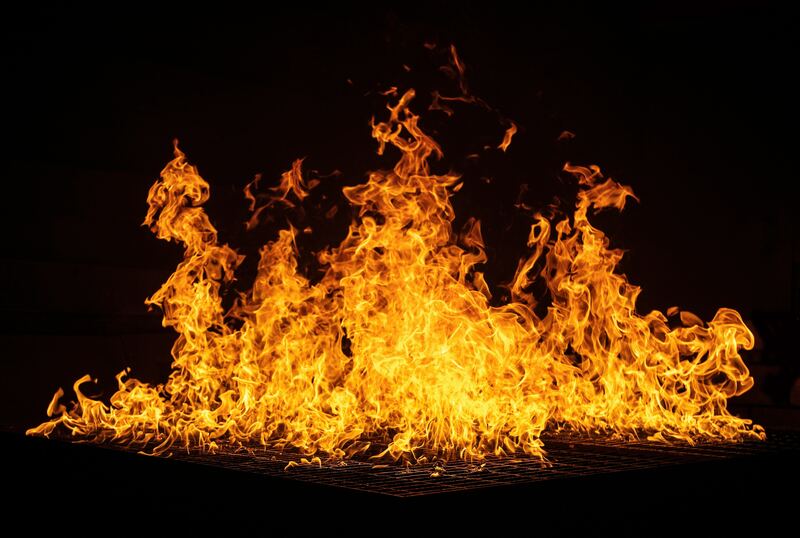 The “content crush” — or the feeling that you must always be publishing content out — causes even the most stalwart brand marketer to publish content that’s not really up to snuff. It could simply be bowing to the pressure from business unit to publish an article that’s boring. Or perhaps it’s ghostwriting a byline from an executive who is hard to work with, and so you publish something that you don’t think is right for the blog’s target audience. Or maybe it’s the “curse of the blinking cursor” staring back at you, reflecting the fact that you’re just not quite sure what to write about! Whatever the situation, it’s a painful and frustrating one that’s all-too-familiar for those who manage company blogs. 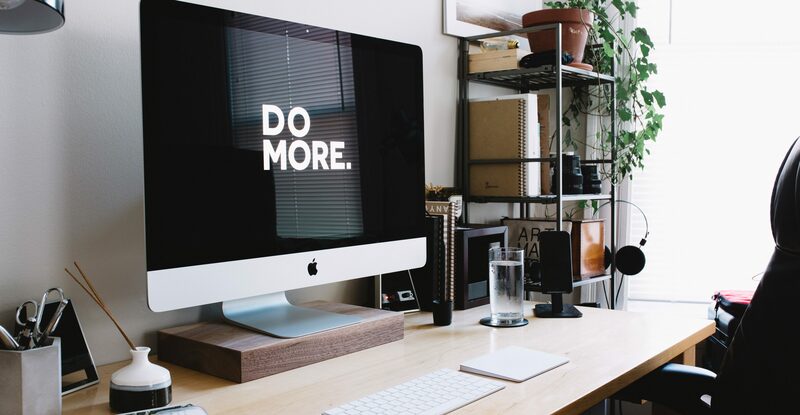 We decided to compile our seven essential strategies for that elusive blog bliss: A blog that delivers strong editorial content with the brand’s voice, building an audience of prospects and engaged fans. From sales and enablement to internal communications to public relations, a healthy blog equals a healthy brand. 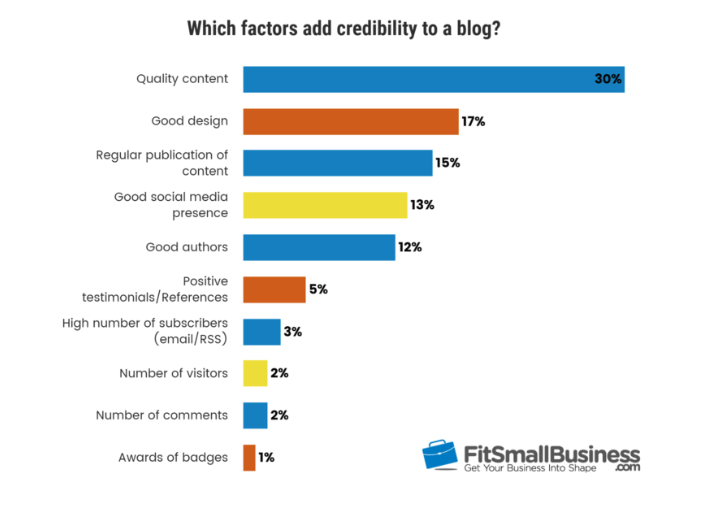 Here’s a quick check-up for your company’s blog. JournalistAre always paying attention. The most annoying things about being one! The best journalists are always looking around for connections between things that others may not see, or finding interesting stories that might be unaddressed. Journalists are also really good at asking probing questions to get into the meat of the story. It’s this curiosity That separates an editorial approach from a commercial approach to content. When it comes to B2B blogs, it’s especially important to focus on the why: Why is this important to the reader? How can this knowledge be applied in their everyday professional lives? So be curious, persevere, and never forget the reader. Self-obsessed content has its place — but it most certainly isn’t (often) on the company blog! Now that you have the correct mindset, let’s pivot to strategy. Oftentimes, Brand marketers want to rush into the company blog just because they have a fear of missing out. However, without a strategy, execution is set up to fail. But one thing people forget is the actual content. In this rush to get it done, the content often becomes an afterthought. Either the content is terrible Because too much time was spent on strategy, or there was no strategy at all. 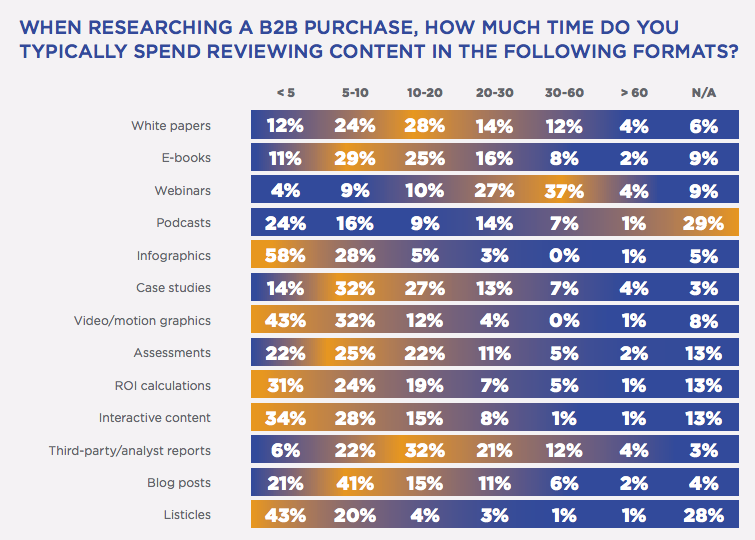 At any point along the spectrum between these two endpoints, a content marketing initiative focus on the company blog is more likely to fail. So even if you don’t have time to create a robust content marketing strategy, consider a basic framework that explains why you’re doing it (objectives), who you’re talking to (audience) and what you’re going to talk about (topic pillars). This ensures that the strategy IS the content. Content for content’s sake never works — it’s a waste of time and resources, and rarely delivers enough return on investment to merit continuing. Avoid ‘the set up to fail syndrome’ and be sure to leave plenty of time and resources in your plan to actually create a compelling content that builds audiences and creates a fantastic company blog. You’d be shocked at how few brand marketers plan ahead. From business pressures to competing priorities for time and resources, Sometimes it seems like fine by the seat-of-the-pants is the best way to go. This is most definitely not the case for content. While it’s possible for an experienced journalist to turn around great quality content in a short window, there’s almost no point in trying without an understanding of why the content is being created or who it’s being targeted to. When it comes to your company blog, an editorial content calendar is the way to go. Not only does it get you organized, but it offers a quick view of your content marketing program for any potential stakeholders. And if you use the right tool to manage your calendar, it works as a collaboration tool to ensure that you have the most relevant perspectives from around the company included in your content. Select a publishing cadence and stick to it. This is by far the thing most brand marketers get wrong. They start off with a cadence that is too ambitious or unrealistic. And once they set an expectation for a certain number of articles each week, the audience can be disappointed or internal stakeholders can be demotivated. Momentum is a precious and delicate thing, and it’s important to not start out of the gate too strong. Consistent brands are worth 20% more than those that aren’t consistent. Make a sound assessment of the resources available to you — including your own time — and set a conservative publishing schedule at first. Start understanding how your audience is responding and growing, then you can adjust accordingly. Especially if you are the one vetting and managing freelancers, as well as brainstorming new topics, there will be a lot more to do than you expect. The last thing you want to do is stress yourself out so much that you end up abandoning the project! If you’re anything like us, these sorts of ‘best practices’ articles become exhausting. It really just seems like more things to add to the to-do list! And yes, that is the case. That’s what we try to stay as organized as possible — with this point (‘be visual’), We recommend taking the time to think about what visuals accompany your blog articles. First, you want to have a captivating featured image that fuels are authentic and not stock. There’re many resources out there, like Unsplash, that offer high-quality photographs for free. Ideally, you have access to a stock photo bank that would allow you to go deeper into imagery And avoid some of the tired tropes the role so used to seeing. If you’re on a budget, then go ahead and search for high-quality images online. Just be sure to source only images that are Creative Commons approved for commercial use. Remember that the featured image is especially important because it is the image that shows up on social when someone shares your article. Beyond the featured image, consider what other graphics and imagery can be used to support your perspectives. Most people are visual, and many readers skim through articles. By providing visual anchors, you allow skimmers time to digest and understand your key points — even without reading the full article. This could be as simple as peppering your article with images, or as complicated as creating an infographic that covers the material you’ve written about. We like to use Canva for our graphic design needs. These images also serve another purpose: They can extend the life of your article as individual social media posts. Once you’ve published your article a few times on social media, then you post the individual graphics as well. This can extend the life of your article from a few weeks to a few months — or more. The beauty of content marketing is that it not only gives you a great brand-building opportunity but offers a wellspring of things to share on social media. The content gives you an opportunity to contribute to the conversation on social media without seeming like a leech or a lurker. And you can never go wrong providing value to potential prospects, current customers, and employees. In addition to posting your own content, we recommend that you follow the 411 rule. The best conversationalists ask questions rather than talk about themselves. The same is true about social media. Brands that only post content about their own achievements are far less interesting to audiences. Most people would rather read compelling content that teaches them something or offers insights they otherwise wouldn’t get. So when you’re planning your social postings schedule, definitely include your company blog’s articles. But also share links from third-party sources that are of interest to identify target audiences; This is called content curation. Out of every six posts, only one should be directly promotional. The others are a blend of your own original content and content written by others. We recommend this weighting of original content because we believe that the most successful marketers brand through their blog. There are plenty of professional journalists and publishers that curate analysis and news, so it can be much harder to break through the noise and provide value through curation. You have the most control over your own original content, and that’s why we recommend the 4-1-1 ratio. Even so, there are a variety of rules suggested by experts (we really love this breakdown from CoSchedule about the various approaches to social media and content curation). It’s about finding the blend that works best for your brand and the audience you’re targeting. Doing a quick audit of your competitors and others that are in your niche is a great place to start. This final tip is perhaps one of the easiest temperament. Thanks to the technologist site YouTube, Facebook/Instagram, and Twitter, it’s now possible to broadcast live video to your audience from anywhere in the world. The beauty of this format is the lower production values are expected. In fact, slick broadcasts are distrusted by users. So rather than stress out about having high production values, focus on delivering compelling live video to your audiences. The increased engagement was the number one reason why respondents continue to invest in my video, according to the 2018 BrandLive live streaming benchmark survey. Live streaming has now moved far beyond just social media, and has become an entire content channel on its own. It could be as simple as interviewing a customer for LinkedIn, or as complicated as doing a team interview that showcases a remote sales team. There are many situations, such as trade shows or company events, that are well-suited to live video. Test a few, learn from the results, and integrate those learnings back into your live videos. Each of these live videos not only offers direct engagement with whoever joins live but also offers an article opportunity down the line. You can write about the context of the video, pull out some relevant quotes, and then embed the video in the article. This is called ‘content atomization’ and it is the backbone of any successful and efficient content marketing strategy for a company blog. As far as results, the BrandLive cohort saw a return on investment in the following categories, each of which provides ripple effects for a brand’s perception, revenues, and employee engagement. Yes, there’s lots to do. We sympathize! Thankfully, it’s never been easier to create quality content and support that content with interesting graphics and intelligent perspectives. Technologies are affordable and blogging is much easier than it used to be. Keep it up, because your brand will be stronger and more profitable than ever if you do!